It's like having my own Card Shop: Extra! Extra! Read all about it! I got an email a week or so ago from Cards My Mom Didn't Throw Out asking about a trade. As a fellow D-Backs fan and Goldschmidt collector he had accumulated some doubles. While he had a lot of great cards for trade, I focused on the Goldschmidt cards that I needed and we worked out a deal. When the package arrived I opened it and was surprised to find not only the Goldschmidt cards (on the left), but a giant stack of extras (on the left). Thanks bud! Here is a small sampling of some of the great "extras" that were sent. 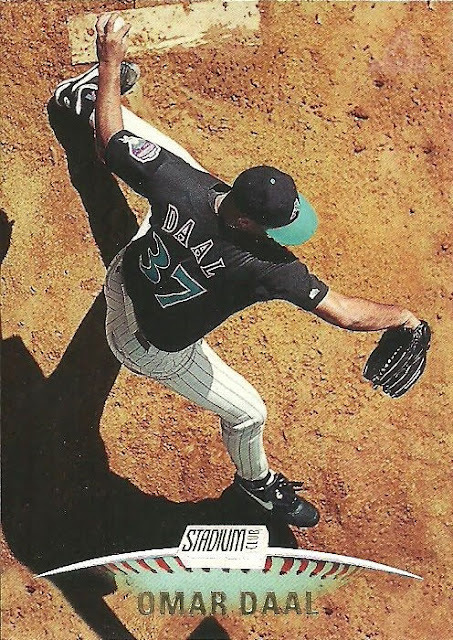 Stadium Club has always featured top notch photography and this 1999 Omar Daal card is no exception. 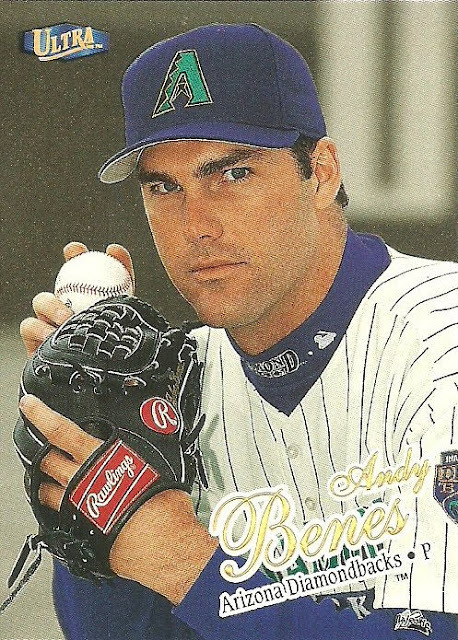 Andy Benes started the first game for the Diamondbacks 20 years ago. Can't believe the D-Backs are in their 20th season. 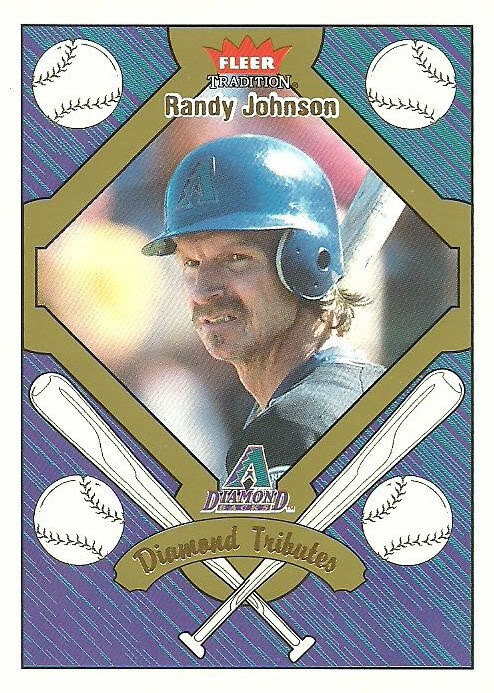 I love this Randy Johnson card that features an up close head shot of Randy up to bat. Look at his scowl. That Randy Johnson card is fantastic. Nice to see two fans of the same team/player swap cards. Stadium Club photography is amazing. Dang that Daal is delightfully dazzling.